My daughter Snukumi wearing the costume. After watching the anime Death Note she decided she wanted to be Ryuk. 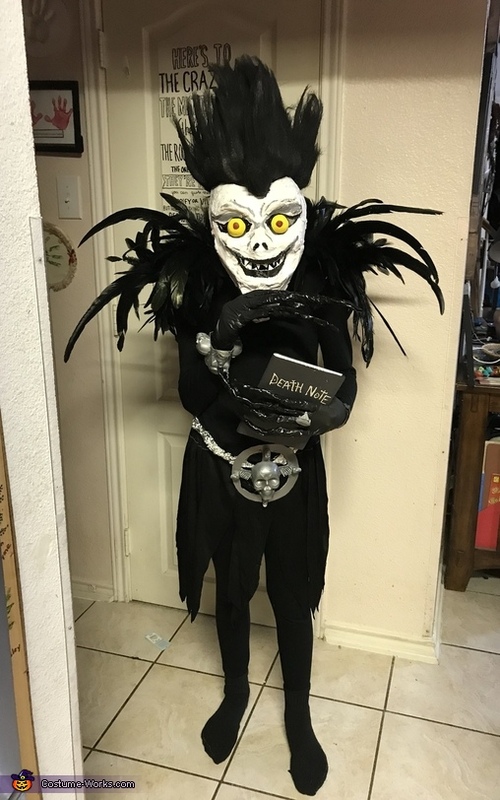 Mask is paper mache’ gloves made from plastic gloves , foul and electrical tape painted with black hairspray, simple torn fabric for skirt, socks sewn in a point, belt and bracelets made with cardboard, plastic skulls and silver paint. Wig was painted and. It a piece off back to glue in fro t for widows peak.